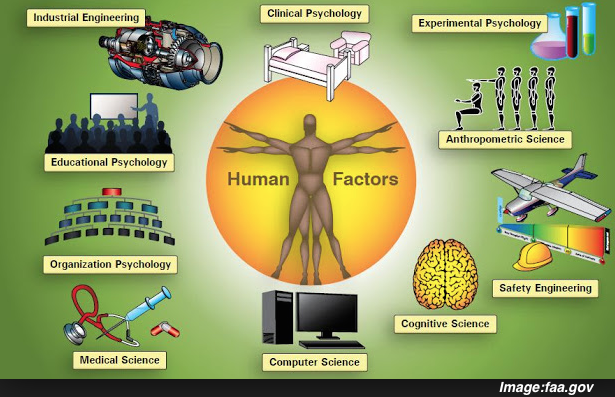 Human factors and ergonomics is a multidisciplinary field incorporating contribution from psychology, engineering, biomechanics, industrial design and physiology. It is the study of designing equipment devices that fit the human body and its cognitive abilities. This scientific discipline is concerned with the understanding of human interaction and other elements of a system, and the profession that applies theory, principles, data and methods of design in order to optimize human well-being and overall human performance. To assess the acceptance between a person and the used technology, human factors specialists or ergonomists consider two things such as the job and the user demand.